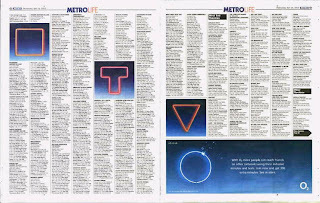 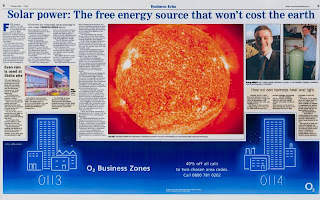 Every time we ran a new press campaign for O2 we tried to find different ways of running the press creative - especially in newspapers. 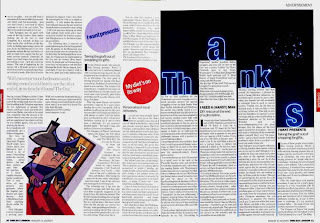 Running with unusual formats needs editorial buy in and whilst this can be time consuming, the added impact / cut through of this sort of execution makes it time well spent. 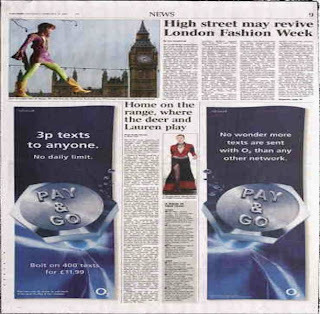 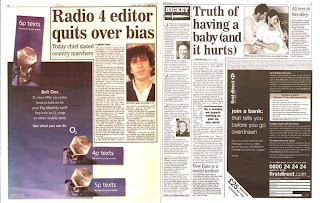 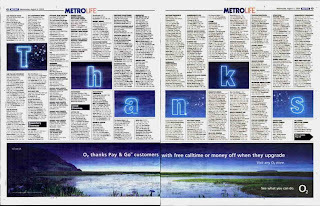 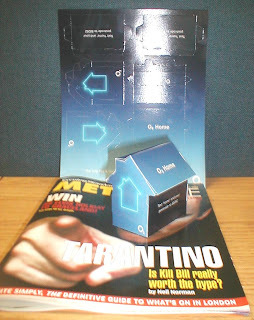 O2 have been leaders in creative use of newspapers and the scans above demonstrate just some of the innovative formats booked across 2003-2004.